In an age when you can find an ecologically friendly version of almost every cleaning product, it’s amazing that chemical carpet cleaners are still being used. No-residue carpet cleaner, often called Zero Rez due to a popular company with that name, is a safe and environmentally friendly carpet cleaner that does the job just as well (if not better) than chemical cleaners. So, if you’re interested in keeping your carpets both clean and safe, read on to learn more about no-residue carpet cleaning. Zero Rez carpet cleaning works to prolong the life of a carpet. It quickly and effectively removes dirt, allergens, mildew and bacteria from the deepest and smallest fibers of your carpet, and it dries faster than other popular cleaners. As the name implies, zero-residue carpet cleaner does not leave a chemical residue behind on your carpet. This means that your carpets are left perfectly clean without any dangerous chemicals for you and your family or pets to inhale. The chemical residue left by regular carpet shampoos can pose a particular danger for young children and pets that spend a lot of time on the floor. Chemical residue can be inhaled or absorbed through the skin, which poses a dangerous health risk with extended exposure. People with allergies or chemical sensitivities may also be irritated by carpet-cleaning residues. Another benefit of no-residue carpet cleaning is that your carpets stay cleaner for a longer period of time than with cleaners that leave a residue behind. 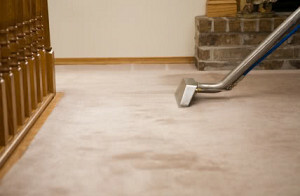 Residue left in carpet fibers will actually attract dirt, hair and other grime, which will re-soil your recently cleaned carpets quickly and force you to pay for another professional cleaning in the near future. No-residue carpet cleaner is therefore the better choice for your wallet and the environment. Now that you know that many commercial carpet cleaners pose a chemical danger, it is the time for change. Networx has many listings of reliable certified zero rez cleaning contractors.